Grapevine Mills is excited to announce that Round One Entertainment will officially join its lineup of family-friendly dining and entertainment options in the spring. Round One will be a state-of-the-art center offering arcade-style games, bowling, billiards, darts, private karaoke rooms and more. Unlike other similar family destinations, Round One will exclusively feature Sega arcade games. The stunning 78,300-square-foot venue will also offer food, beer and wine in a full-service dining experience. Grapevine Mills shoppers will soon have a new option for dining and entertainment. Simon Property Group announced that Round One Entertainment will open its largest Texas location at Grapevine Mills in the spring of 2016. 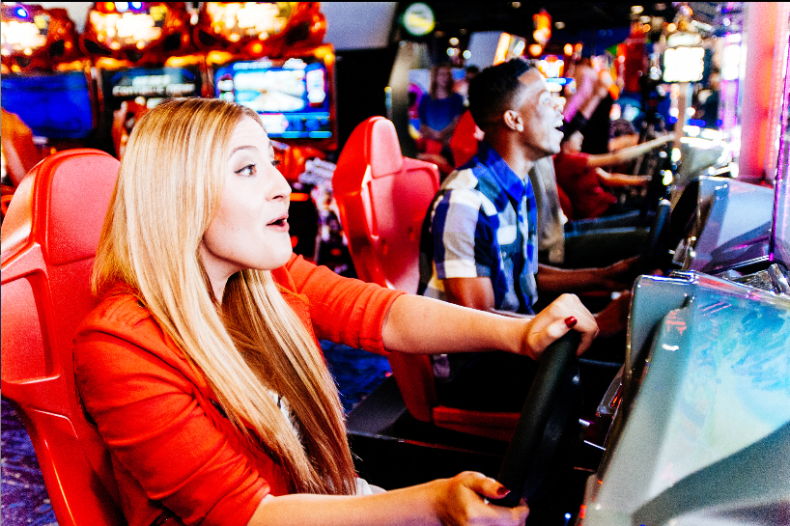 Round One will be a state-of-the-art entertainment center offering arcade-style games, bowling, billiards, darts, private karaoke rooms and more. Unlike other similar family destinations, Round One will exclusively feature Sega arcade games. The stunning 78,300-square-foot venue will also offer food, beer and wine in a full-service dining experience. Along with the addition of Round One, Grapevine Mills continues to enhance its tenant offerings and property amenities with its renovation, which is currently underway. Round One will be located at Entrance 6, adjacent to NIKE Factory Store and OFF Broadway Shoes, and will be open from 10 a.m. until 2 a.m., seven days a week. For more information, call (972) 724-4900 or visit www.simon.com/mall/grapevine-mills.com. Grapevine Mills, the largest outlet and value retail shopping destination in North Texas, provides the ultimate shopping experience with more than 180 outlet and value retail stores including Neiman Marcus Last Call, Saks Fifth Avenue OFF 5TH, H&M, J.Crew, Forever 21, Banana Republic Factory Store, Guess Factory Store, Gap Factory Store, Tommy Hilfiger Company Store, Abercrombie & Fitch Outlet, Ann Taylor Loft, Nike Factory Store, Oakley Vault and Under Armour. Recently named “Best Kid-Friendly Shopping Center” by the readers of FortWorthChild and NorthTexasChild magazines, Grapevine Mills also offers great restaurants including Rainforest Cafe and Chili’s, family entertainment experiences SEA LIFE Grapevine Aquarium, LEGOLAND® Discovery Center and AMC® 30 Theatres featuring its In-Theatre Dining experience. The property is currently undergoing a multimillion dollar renovation to create a more inviting and enriching shopping environment. Architectural facelifts, a reimagining of retail facades, sleek new flooring, contemporary energy efficient lighting and new soft seating groupings designed to maximize comfort will be completed in February of 2016. Grapevine Mills, home to tax-free shopping for international guests, is located two miles north of DFW Airport on Highway 121N and Grapevine Mills Pkwy in Grapevine, TX, about 30 miles northwest of Dallas. It is open regularly from 10 a.m. – 9:30 p.m., Mon – Sat, and 11 a.m. – 7 p.m. on Sunday. During the holidays, hours are extended for guests’ shopping convenience. For more information on Grapevine Mills, please call (972) 724-4900 or visit www.grapevinemills.com. Like Grapevine Mills on Facebook at facebook.com/ShopGrapevineMills and follow us on Twitter @ShopGrapevine and on Instagram @shopgrapevine. The Mills®, one of Simon Property Group’s five real estate platforms, offers a unique brand of shopping with a mix of popular name brand outlets, value retailers and full-price stores, plus family-oriented dining and entertainment concepts. The Mills are well-located in major metropolitan markets and many are recognized as leading tourism destinations. Notable properties include Arundel Mills (Baltimore), Gurnee Mills (Chicago), Grapevine Mills (Dallas), Ontario Mills (Los Angeles), Opry Mills (Nashville), Potomac Mills (Washington, DC) and Sawgrass Mills (Ft. Lauderdale/Miami). Simon Property Group, Inc. (NYSE: SPG) is a S&P 100 company and a global leader in the retail real estate industry. Simon currently owns or has an interest in more than 325 retail real estate properties in North America, Asia and Europe comprising approximately 243 million square feet. Simon is headquartered in Indianapolis, Ind., and employs approximately 5,500 people in the United States. For more information, visit the Simon Property Group website at www.simon.com. Texas Live Ultimate Watch Parties, Oktoberfest, Halloween and More! DE-J Taste Test: The Never Ending Choices at Old Chicago Dallas!